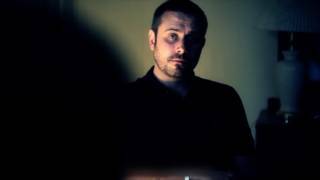 Video: Jeremy Scahill & Noam Chomsky on Secret U.S. Dirty Wars From Yemen to Pakistan to Laos | Democracy Now! Update: See Jeremy Scahill speak this Friday in New York City at 7pm in the Tishman Auditorium at The New School. Click here for full event details. Investigative journalist Jeremy Scahill and author Noam Chomsky recently sat down together at Harvard University to discuss Scahill’s groundbreaking new book, “Dirty Wars: The World is a Battlefield.” Amy Goodman hosted the discussion, which was sponsored by the Carr Center for Human Rights Policy, Harvard Kennedy School and the ACLU of Massachusetts. AMY GOODMAN: What an honor it is to be here with Jeremy Scahill and Noam Chomsky. And I wanted to start with Noam responding Jeremy’s investigations and the description, putting it in the context of the history of U.S. foreign policy. NOAM CHOMSKY: I had received an email this morning from a person who I’m sure many of you know about. It’s Fred Branfman. He’s a counterpart of Jeremy from back in the '60s. He's the person who worked for years, with enormous courage and effort, to try to expose what were called the “secret wars.” The secret wars were perfectly public wars which the media were keeping secret, government. And Fred—this was in Laos—was—he finally did succeed in breaking through, and a tremendous exposure of huge wars that were going on—a war in northern Laos attacking a peasant society that was so remote from what was happening in the Indochina wars that many of them probably didn’t even know they were in Laos. Actually, with Fred, I met many of them in refugee camps after a CIA mercenary army drove them out from areas where they had been hiding in caves for two years under intense bombardment. He then proceeded to help expose the even worse wars in Cambodia and then the air wars, in general. Anyway, background. NOAM CHOMSKY: I was saying that I’ve written plenty of unpopular articles, and one of the most unpopular had to do with the murder, not killing, of Osama bin Laden. Osama bin Laden was a suspect. There are principles, believe it or not, that are not only in the Constitution, but that go back to 800 years, to Magna Carta, the foundations of Anglo-American law. That’s—I mean, they put it in narrow terms, but the general principle, including —Jeremy is quite correct—expansion of it to people other than our own citizens, is that a person can’t be punished by the state without due process of law and a speedy trial by his peers. That’s a reasonable principle. It’s in the Constitution. It was narrow, if you look, so in the Constitution it didn’t—naturally, it didn’t apply to Native Americans, it didn’t apply to blacks, and it dubiously applied to women, who at the time were considered property, not people. But over the years, it’s been expanded. And unless it gets to the point where—that Jeremy was talking about, where it’s just human beings, we can’t call ourselves a civilized society. Anyway, those are the principles.